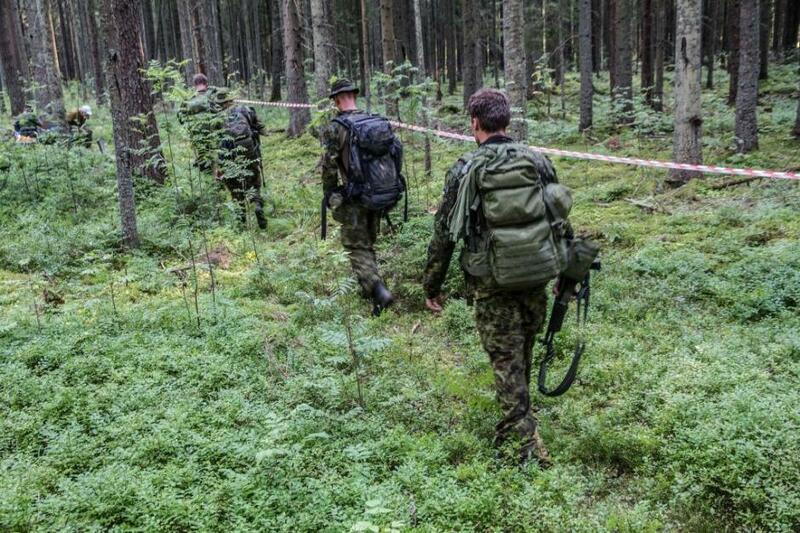 At the beginning of August, 25 teams from eight NATO countries gathered at the Nursipalu Nature Reserve near Rouge vald, Estonia, in the spirit of friendly competition for the four-day Admiral Pitka Recon Challenge 2015. The Pitka Challenge, which began as the Erna Raid Challenge, is a competition that commemorates the Estonian reconnaissance soldiers during the wars who after escaping Estonia and training in Finland returned to help liberate their country. The of the competition name was changed three years ago in honour of Admiral Johan Pitka, the founder of the Estonian Defence League, who was the chief architect of the armoured train units that helped win the 1918-1920 War of Independence against the Red Army and Germans. During the challenge, the teams travel roughly 90 miles. Along the way they have about 10 checkpoints with different tasks such as: first aid, marksmanship and an obstacle course. The main part of the challenge, is, however, reconnaissance. The latest competition took place during Operation Atlantic Resolve, which is an ongoing series of training events designed to build relationships, trust and interoperability between the US and its NATO allies. Participating in the Pitka Challenge was a new experience for the soldiers of Destined Company, 2nd Battalion, 503rd Infantry Regiment, 173rd Airborne Brigade Combat Team, who found navigating through the rugged terrain to be the most difficult part of the journey. “After the long, hot days in the bog and walking twenty plus miles, you kind of start losing focus, but we were able to throw some jokes in and kept everyone in the right set of mind to complete this,” said Sgt. Sean Fitzgibbons of North Atterboro, Massachusetts. “It’s great to see the other teams out here strutting their stuff, it shows that we are all soldiers out here, we all get hurt, but we keep pushing on,” said 2nd Lt. Christopher Finseth of Lucedale, Mississippi. Photos by Estonian Defence Forces.